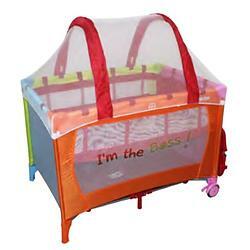 Perfect for travelling, this Playpen sets up easily within a couple of minutes. 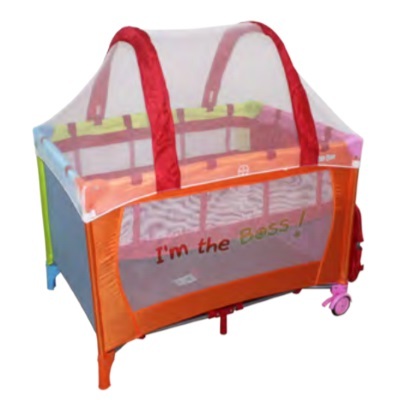 We're sure that the playpen will quickly become one of you and your baby's favourite Bumble Bee products. This Playpen comes with a full-size bassinet with comfy quilted mattress pad, a great place for infants to nap peacefully and drift off to dreamland. A mosquitoes net is thoughtfully included to protect your lovely baby from unwanted disturbing bites. It also includes a convenient travel bag. 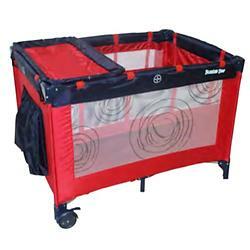 Just fold the Playpen, stow it in the bag, and you and your little one are off to see the wonderful world. They are now come with curved mosquito net to provide more room for baby's growth and movement. Open: Close: 30cm (L) x 30.0cm (W) x 80.0cm (H) Mattress Size: 28" x 41"